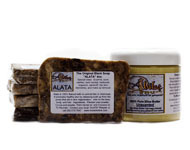 Both Eczema and Psoriasis feed on dry skin. 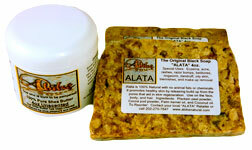 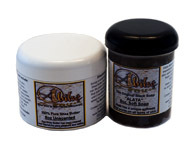 Our Alata "Black Soap" will help with any inflammation to help control the issue so it doesn't flare up. 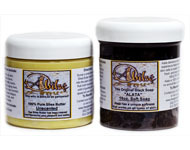 We offer a choice of 3 natural emollients that will aid in reducing the water loss from the skin, stopping the itching, and bringing back the natural color of the skin. 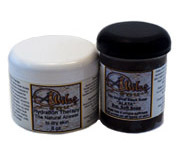 Try one of our natural alternatives to the steroid creams.